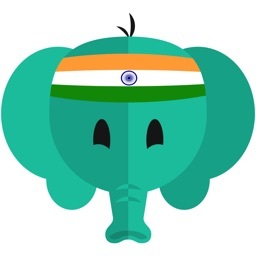 Ever wanted to learn Punjabi? 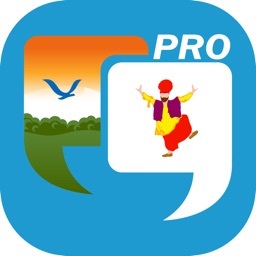 Get your daily Punjabi lessons with Learn Punjabi Quickly that will give you everything to speak and write in Punjabi in everyday life as you will have the most used words and Punjabi phrases across 33 categories on your phone. 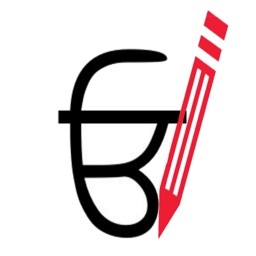 You can be an absolute beginner starting from scratch, an intermediate student or a confident native speaker of the language of Punjabi, rest assured you will find something new to learn. 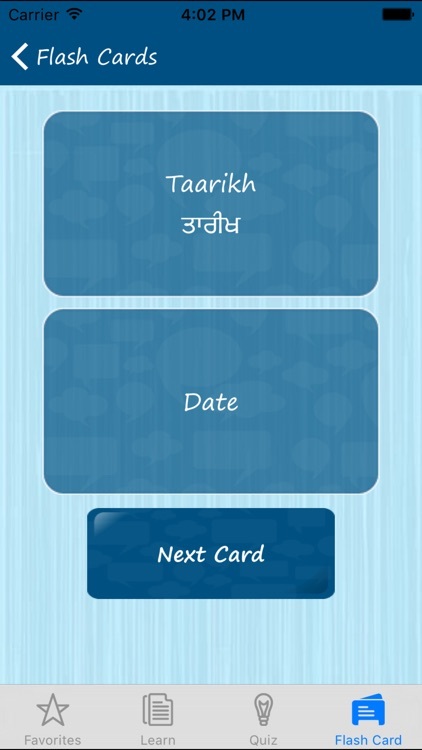 Refresh your Punjabi vocabulary, hone your Punjabi pronunciation & intonation, learn new words with Punjabi Flashcards, learn the Punjabi alphabet or Test your Punjabi language knowledge with our quick Punjabi test. Used as a quick tourist dictionary or a language learning app, Learn Punjabi Quickly has several handy features that helps you with effective language learning. 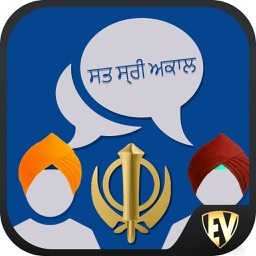 Learn Punjabi Quickly provides translation for most frequently used words and phrases across 33 categories - Body, Time, Calendar, Colours, Directions, Health, Emergency, Feelings, Food, Grocery, Friendship, Romance, Fruits, General, Greetings/Introductions, Conversation, Household, Relations, Language, Expressions, Numbers, Shopping, Spices, Travel, Driving, Accommodation, Weather, Vegetables, Work/Office, Kitchen, Animals, Sports and Study. 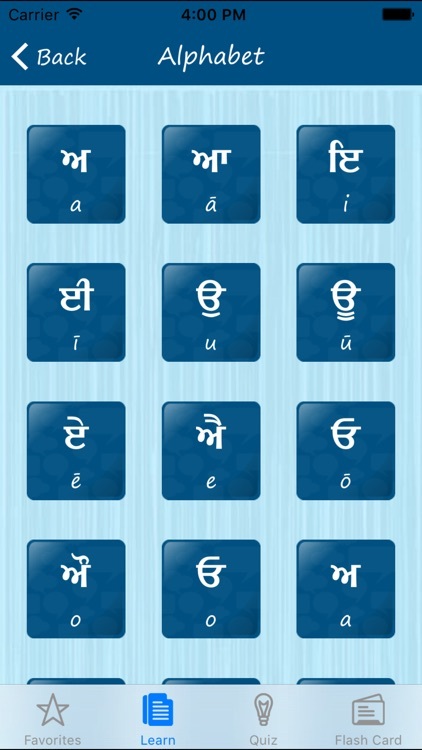 It is like a Rosetta stone of the Punjabi Vocabulary. 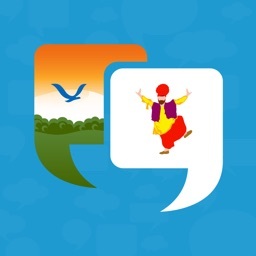 If you wish to learn to talk in Punjabi for free, then look no more. 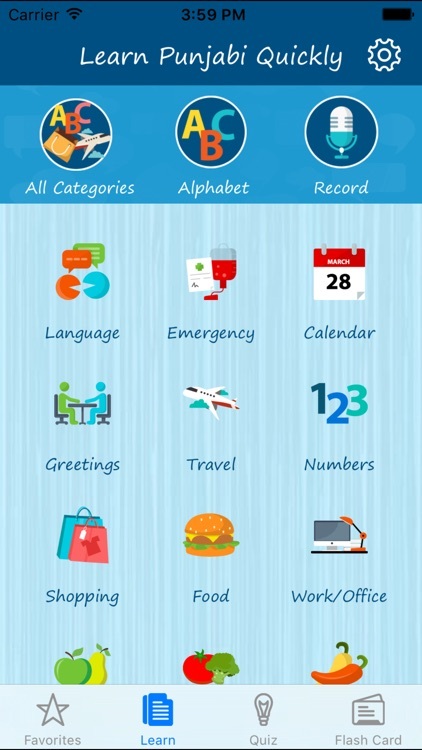 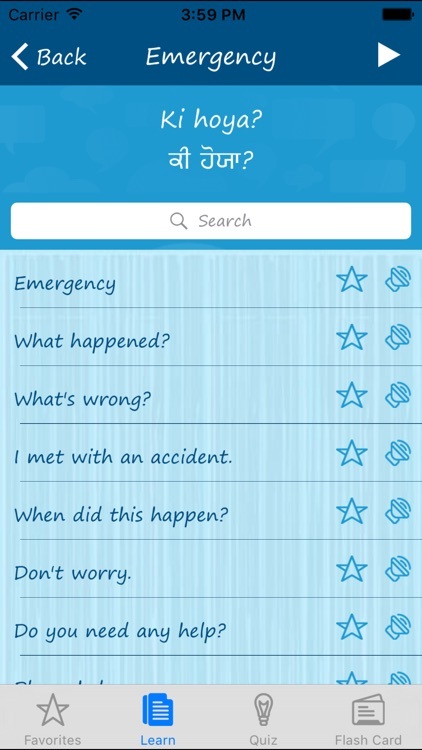 Learn Punjabi Quickly is a quick and handy tool for beginner and serious language learners alike. 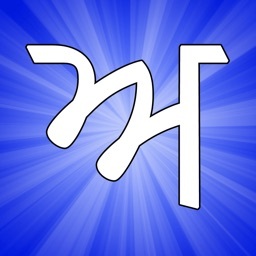 Please feel free to contact us with your feedback or suggestions at [email protected] We love to hear from you!